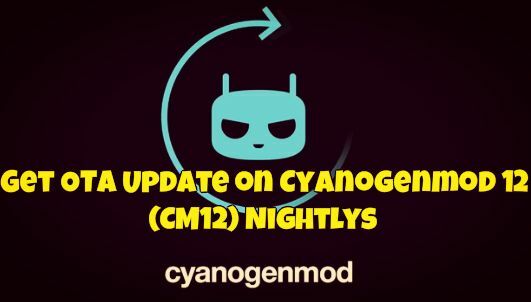 We all know that Cyanogenmod nightly builds happen daily and if you are using the Cyanogenmod 12 (CM12) Nightly ROM on your android device then it is difficult to download 250MB+ data daily and flash it manually. Also the the CM12 inbuilt System update feature won’t show any updates most of the time. So at that time you have to download the ZIP file again and flash it with the help of recovery. This one is the lengthy task and take so much time. But now you can get the OTA update on Cyanogenmod ROM, yes this possible with the free android application called CyanDelta Updater. CyanDelta lets you update your CyanogenMod ROM, Paranoid Android ROM or OmniROM by downloading just a small delta file (about 10 MB) instead of a big full zip file each time. With he helps of this free application you can easily update your phone without losing any data. Here in this guide we’ll show you how you can do the same on your Cyanogenmod running Android devices. To get started all you need a ZIP of the Cyanogenmod ROM that you flashed in the android device. Step 1. Install the CyanDelta Updater app from the Google play store. Step 2. Now run the application on your device and browser the Cyanogenmod 12 (CM12) Nightlys ROM zip files that you saved on your phone. Step 3. Now it will show an update if your connected to your internet. Step 4. Once you find the update, download the update file with the help of this app. Step 5. Once the update files is downloaded on your phone, Give app permission to flash it. It will take care of flashing and wiping the cache. That’s it now you phone is updated with the latest Nightlys, use the same method when you want to update your device.